2017 and 2018 has seen an increase in the amount of marginalised and isolated older people in Ireland. Christmas is a very difficult time, as the many Christmas campaigns depicting family and friends getting together only compounds their feelings of segregation from what is supposedly ‘the most wonderful time of the year’. People who reported feeling lonely have 64% greater risk of developing dementia in old age than those who did not feel lonely. Lonely people suffer disproportionately with mental health issues, cognitive decline, hypertension, and are more likely to be admitted for residential or nursing care. Friends of the Elderly implores people to help us help isolated older people by donating to the Friends of the Elderly Christmas Appeal as an act of Christmas goodwill. Each dinner running on 4th, 11th and the 13th December is already fully subscribed with 75 diners per meal. 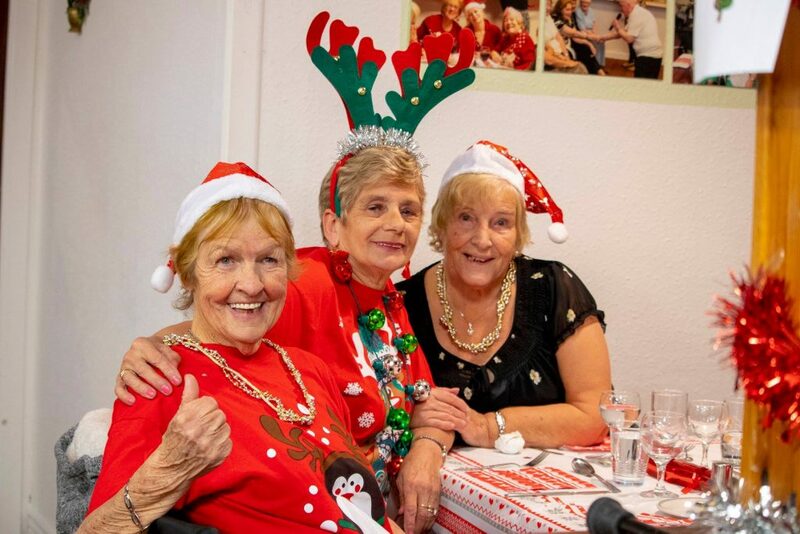 Last years’ Dinners were a runaway success with older people relaxing, enjoying, singing and dancing to their hearts content, the photos speak for themselves the joy that these social occasions bring to those who still want to get involved and enjoy life! Friends of the Elderly funding depends entirely on fundraising, they rely on the good people of Ireland to make donations to the charity so that they can arrange much needed community events and so much more for the elders on the edge of our communities. With an annual budget of €300,000 and no government funding, Friends of the Elderly lends support to as many people as the funding allows. They strive to reach out and support those referred to them by arranging weekly visitations from volunteers and organising events that the isolated can attend to meet and mix with others. They have a telephone befriending service which is open nation-wide and when resources and funding expand, they aim to create a network of volunteer-based branches. Making a donation is simple, they ask that people visit www.friendsoftheelderly.ie to give a once-off Christmas donation or to set up a Regular Donation of €21 per month. Involving yourself in charity is something positive for two people, you are helping a secluded older person to feel respected and connected to the world, and you also provide positive effects on your own health, happiness and productivity. Wellbeing is more than just feeling good about ourselves — it comes from a powerful sense of connection to others, from empathy and compassion. At Friends of the Elderly they value all human beings no matter what their age, they believe every human on this island has an intrinsic dignity which must be respected always and everywhere.